After unprecedented opposition in Kerala to the Supreme Court’s judgment of September 2018—which allowed the entry of women of all ages into the Sabarimala temple—it is heartening to find that the court has agreed to review the judgment. The court, while overruling the Kerala High Court’s judgment of 1991, said that the practice at the temple banning the entry of women of menstruating age, violated the rights of Hindu women and was not in harmony with the Constitution as it subjected devotion to gender discrimination. The sole dissenting member of the bench, Justice Indu Malhotra, rightly mentioned that notions of rationality cannot be invoked in matters of religion, and hence, the court should not interfere unless there is any aggrieved person from that section or religion. I believe, this philosophy should be the cornerstone of legal jurisprudence while deciding upon religious cases in India. But, the Sabarimala judgment of the Supreme Court has stood in opposition to this golden principle. The Sabarimala tradition is a fascinating amalgamation of Shaivite, Vaishnavite, Shakt, Buddhist and Muslim traditions that has built up a formidable cult of Lord Ayyappa, the presiding deity of Sabarimala, who is worshipped as a venerated warrior god by the devotees. Ayyappa is considered to be Hariharaputra—the son of Shiva (Hara) and Mohini, the feminine form of Vishnu (Hari)—thus representing the essential oneness of the transcendental reality of the Supreme Brahman, which is the essence of vedantic philosophy of ancient Hinduism. The association of Lord Ayyappa with the age-old Dharmasastha tradition of the south was an important development, as Dharmasastha is considered to be the original Hariharaputra deity and Ayyappa is regarded as one of his incarnations. That is why the Sabarimala temple till recently was known as Sabarimala Sri Dharmasastha Temple. The name was changed to its present form—Sabrimala Sri Ayyappaswami Temple—in November 2016. The deity in a Hindu shrine is personified and is a legal entity. Lord Ayyappa, being a celibate, can thus decide not to meet a woman. The devotees themselves need to pursue an austere life style, including practising celibacy, for 41 days before visiting the temple. 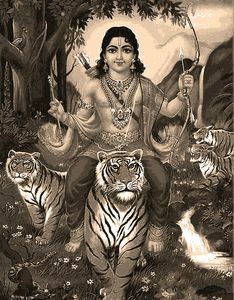 Excluding menstruating women [who cannot complete 41 days because of their menstrual cycles] from the shrine is the core faith around the legend of Lord Ayyappa. The court failed to gauge this. That is why its judgment is becoming increasingly difficult to implement with each passing day, as threats of mass suicide and other extreme forms of opposition are haunting the administration. The insensitivity of the CPI(M) government that treated the protests merely as a law-and-order issue and the persistent refusal of Chief Minister Pinarayi Vijayan to take the stakeholders into confidence further complicated the matter. We must understand that it is not a gender issue because such a restriction is not extended to the thousands of other Dharmasastha temples across the nation where the deity has manifested himself in forms other than that of a naishtika bramhachari (eternal celibate), as in Sabarimala. Hence women of any age group are free to visit those shrines. With the Supreme Court now agreeing to review the Sabarimala judgment, it is hoped that the dissenting voice of Justice Indu Malhotra shall be given a more thorough, patient and meticulous consideration along with other persuasive facts on the table.